The El Paso, Texas-based Tecma Group of Companies is one of the leading providers of manufacturing support, commonly known as “shelter” services,”in Mexico. 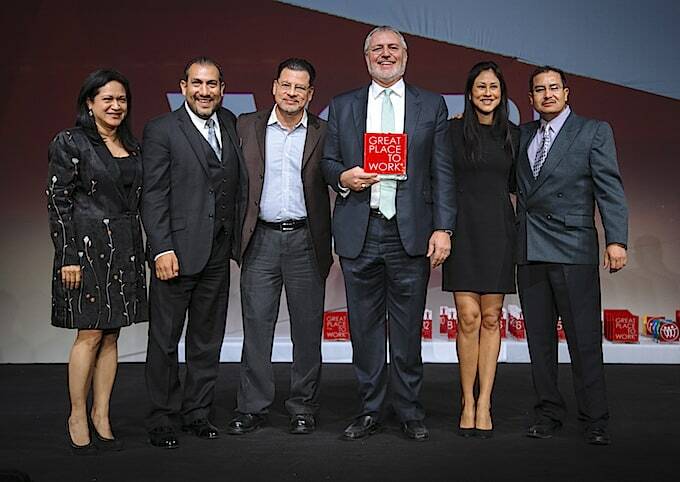 The company was recognized on March 26, 2015 in Mexico City by the Great Place to Work® (GPTW) Mexico organization at a ceremony held at Expo Bancomer for the quality of the environment that it has developed for its more than 4000 employees. Beyond being recognized as one of the most favorable places in Mexico to be employed, the Tecma Group received further accolades from GTPW by being named as one of the Top 100 places to work in Mexico in the category of businesses that employ between 500-1000 individuals. Other companies included on the prestigious list include: Plantronics, Alcoa, Microsoft, JW Marriott, Walmart de Mexico and Alcoa. Great Place to Work® evaluates the companies that apply for its recognition by examining overall corporate culture through the implementation of in-depth employee surveys and interviews. For over twenty-five years A Great Place to Work has studied companies that provide a superior environment for their personnel all over the world. These are companies at which employees trust their managers, and give their best work freely so that their extra effort goes right to the company’s bottom line. Additionally they are companies at which managers trust their employees, and allow innovative ideas to bubble up from all levels of the company. The Great Place to Work® Institute, has spent more than two decades tracking innovative and accomplished leaders and learning from their successes. By surveying millions of employees and studying thousands of businesses, The Great Place to Work® Institute has created a model for building performance based on trust.